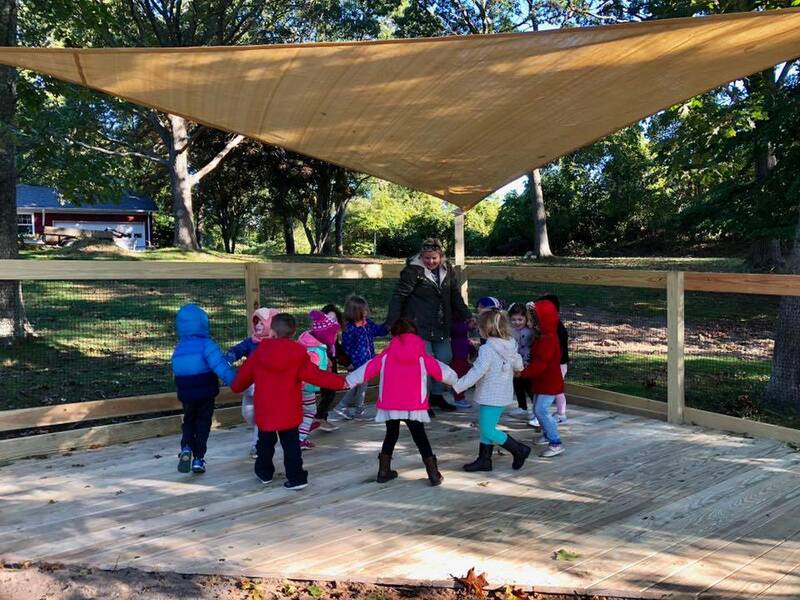 This has been an exciting year for the outdoor classroom at ITAV. We had a vision and need to expand our space. 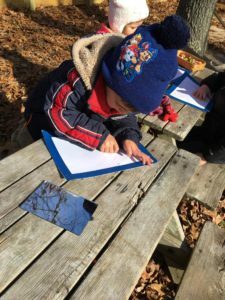 Our families have embraced the outdoor classroom and as word spread about the positive effects the outdoor classroom was having on their children, more families were interested in joining our village. To accommodate this growth, our goal was to double the space. Through two successful fundraisers, we were able to complete the expansion in September 2018. 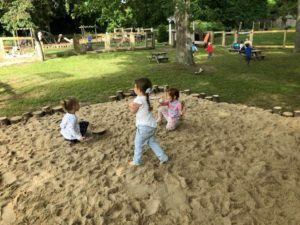 The first fundraiser was through a generous collaboration with Southampton Soap, and the second fundraiser took place at the beach over the summer with families gathering for music, food and fun! This time we really let the children build the blueprint for the expansion. We spent the last 3 years observing and listening to their likes and needs. 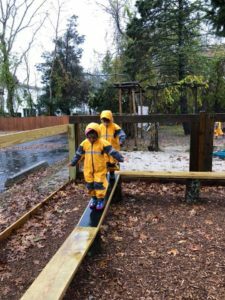 We wanted the new space to be an extension of our outdoor classroom, but to also be child driven in its design. 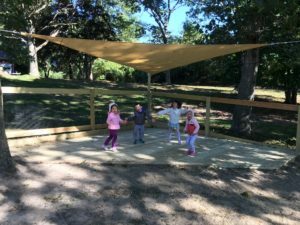 The new space features additional climbing and dynamic structures, more sand areas, a water area, additional natural art space, plenty of room to run, and a raised and covered stage for music and movement. 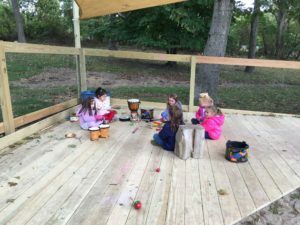 We continue to use our outdoor classroom during and after school hours. 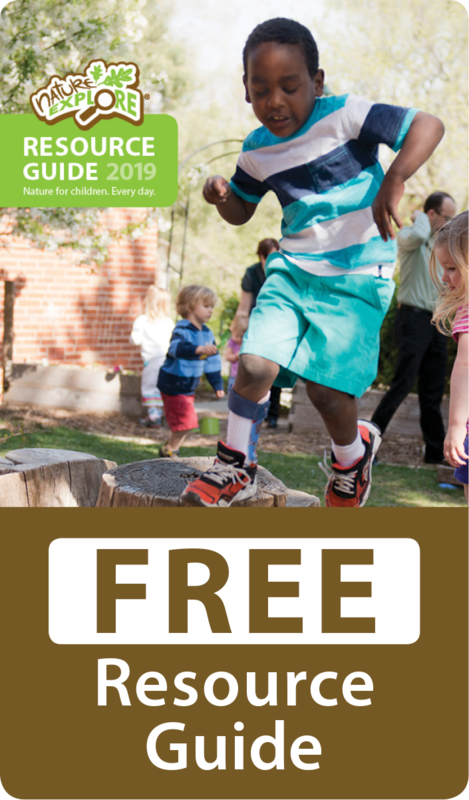 We love to open our space to the community as often as possible for friends and families to experience the benefits of connecting with nature. We hold frequent meetups on weekends for families to gather. 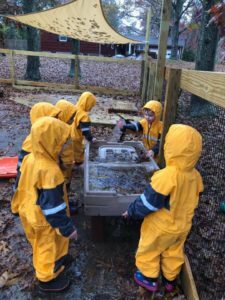 We feel that the outdoor classroom has been an integral part in the success of our preschool. It is an ever-evolving space that will continue to grow. 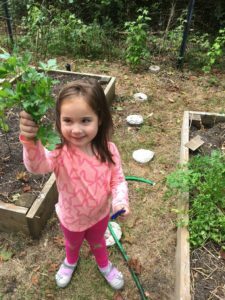 Our future plans include expansion of the current garden. We are interested in adding a walking flower garden this spring. Of course, we will use our expert design team for direction and ideas. The kids!